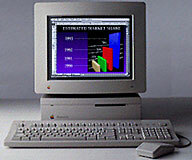 So you want to start a Mac museum, eh? Where does one find all theseold machines? There are plenty of sources, some more obvious thanothers. Let me share a few of the methods I've used over the years;maybe some will be of use to you. The most obvious is eBay, of course. It really is the "world's biggest garage sale",and the patient collector will eventually find near anything he or sheis looking for listed there. I've used it for acquisitions as common asmy iMac DV SE andG4 Sawtooth toscarcer items like my TAM and Duo 270c (complete with rare MiniDock) to antiques like a pristine dual-floppy SE. The biggest shortcoming to using eBay is that every other Maccollector on the planet is using it, and items will frequently get bidup to fair market value and beyond. There's always someone else outthere who is even more interested in that maxed-out SE/30 than you are and will bidaccordingly. If an item has a "buy it now" price that you'recomfortable with, don't take a chance - jump on it. Getting a reputation with friends as the "Local Macintosh HumaneSociety" is important, too. Folks are frequently ready to get rid oftheir old computers, and isn't it cheaper to give it to you than to goshopping for a Christmas or birthday present? 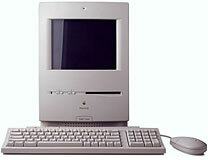 I know I was every bit astickled to get an old Performa636CD or ColorClassic as I would have been if I'd gotten gift certificates tosome clothing store or book store. 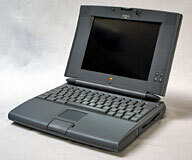 If you have a blogor LiveJournal, make sure that your 'net friends know that you're ageek for old Macs. One blog friend made me a deal on a color NeXT Station; another offered me a540c if I'd pay shipping, andadded a Duo 280c to the boxat the last minute. Mac owners are happy to know that beloved oldmachines are going someplace where they will be used and treasured, andnot just winding up in a landfill as cannibalized husks. As a side note to the above, educational institutions are frequentlydisposing of old Macs. One friend had acquired a bunch and sat on themfor a while before asking me if I'd be interested in a "truckload" ofvintage Mac hardware. It turns out he wasn't kidding. 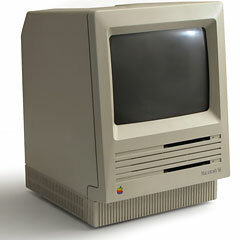 When he showed upat my house, the bed of his little Chevy was full of old universityMacs, from a Mac II and an LC II through a couple of Quadra towersto a Power Mac 7300, hisbasement clutter became my prized museum contents. Pawn shops can be another source. A pawn shop I managed got aIIsi in once, and I snatched itup after it sat unsold on the shelf for a week or two. Frequently Macscan be picked up cheaply in these settings, as pawn shop owners rarelyknow what to price Macs at, and they can languish on the shelves for awhile until the owner is ready to let it go for a song just to get someof his money back. Lastly, keep an eye peeled on the day-to-day rounds of your life. Atthe same shop, there was one of the ubiquitous little Wintel computerstores in the strip mall across the street. 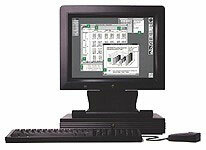 The owner had an SE/30sitting around, obviously unused, and I eventually traded him out ofit. Meanwhile the owner of the shop at which I worked had a wife whowas a school principal. Whenever I went over to their house for dinner,I noticed she had a complete LC II setup in her office. After severalmonths, I noticed it looked a little unused and made an offer.Sold! Similarly, I played tech support for a landlord of mine years later,getting his AirPort network up and keeping it running. Every time Idropped by, I couldn't help but notice an old, slightly dinged-uplooking 520c Blackbird gatheringdust on a bookshelf. When a year went by without the laptop moving fromits spot, I asked him if it was for sale. Of course it was. One method I have never tried personally actually paid greatdividends for me: Dumpster diving. While I never did it, back when Ilived in Atlanta a friend was an inveterate dumpster diver around thebig office buildings in the city. She knew I liked old computersand one day called me up to say she'd found one she thought I mightlike. I was expectingsome old Dell or Compaq office machine, so you could have knocked meover with a feather when I got home to find a working Mac 512K, complete with a 40MB external hard drive. I kept it for a couple years, but I don't haveit anymore. If you find Tamara's articles helpful, please consider making a donation to her tip jar.